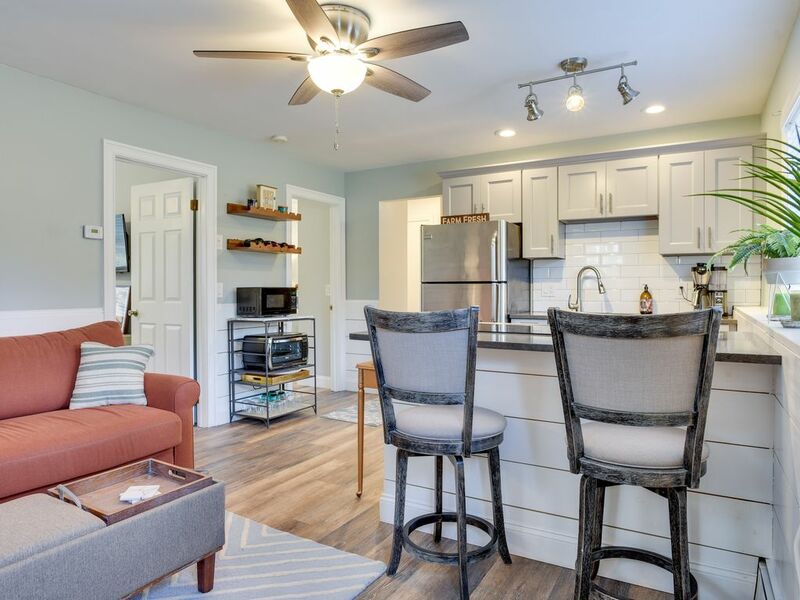 This beautifully updated two bedroom apartment is the perfect place for a weekend getaway! Have a wedding at the vineyards? Want a local get away with your loved one or friends? This affordable option is comfortable, stylish and in the heart of it all! The nearest vineyard is less than a mile away, and the restaurants and farms are all within a short drive. Love Lane is a five minute drive, and a sandy beach is within walking distance (down the block)! You will have exclusive use of the yard, including the pool, patio, bbq, fire pit and outdoor furniture. With two bedrooms and a large bathroom, this apartment accommodates 4 people with a pullout in the living area. Enjoy the North Fork with all it has to offer at our comfortable hideaway! We absolutely loved our stay! The home has everything you need and is tucked back where it’s private and quite while still being a short drive into town and just a short walk from the beach. It’s decorated so cute and is so clean and comfortable. Highly highly highly recommend staying here! This location is not just for summer time! Perfect even for a winter get away. So comfortable and clean. A short stroll to the beach and so close to the wineries! We had a great time and would love to stay again.